Remember me, I used to be part of your gang but have been missing for a few weeks -well a lot of weeks actually. Lots of things going on to prevent me crafting and joining in, broken Freezer, replacing freezer, broken washer, replacing washer, holidays, bad back etc etc. 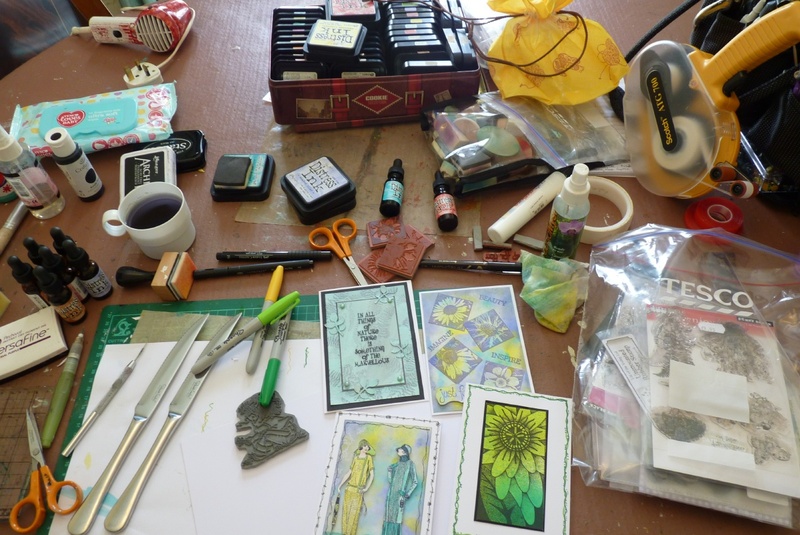 Add to this the utter and complete loss of mojo and inability to concentrate on any crafting and you have an unhappy bunny so much so that at one point I packed lots of stamps and stuff up ready to give away and give up. Happy to report that I changed my mind and unpacked it :-) and this week has seen the return of Mojo and I'm on my way to catching up on all the many birthday cards I haven't sent. Four cards on my desk, nothing too fancy, it's baby steps at the moment in case I frighten off that Mojo person again - if you are wondering what the table knives are doing there it's because they live in the dresser behind me and I was too lazy to put them away after Sunday lunch. Still they are beautiful stylish knives (Robert Mellor). So that's me, back where I belong and happy to be taking part in Julia's big desk hop again. Hope to get around a few desks this week and see what delightful art you have been creating in my absence. See you on the tour and if you want to see a few photos of my holidays then scroll down. 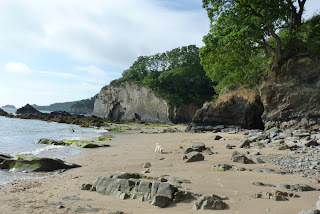 Saundersfoot, Wales. The beach was just yards from our holiday home, out the door, 50 yards down the lane and down the cliff steps, perfect for us and perfect for Sorrel. This beach wasn't quite as 'friendly', Pendine Sands where Malcolm Campbell, (father of Donald Campbell who was killed on his water speed attempt) broke the world land speed record in 1927. 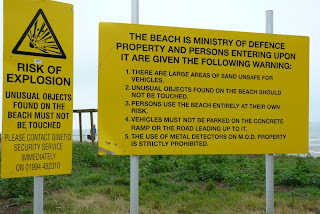 The beach was later used in preparation for the D-Day Normandy landings in WW2 and the chance of unexploded shells. Scary hey? Welcome back Ann. And thanks for visiting already. It's good to see some activity on your desk now that your washer and freezer are new and working. 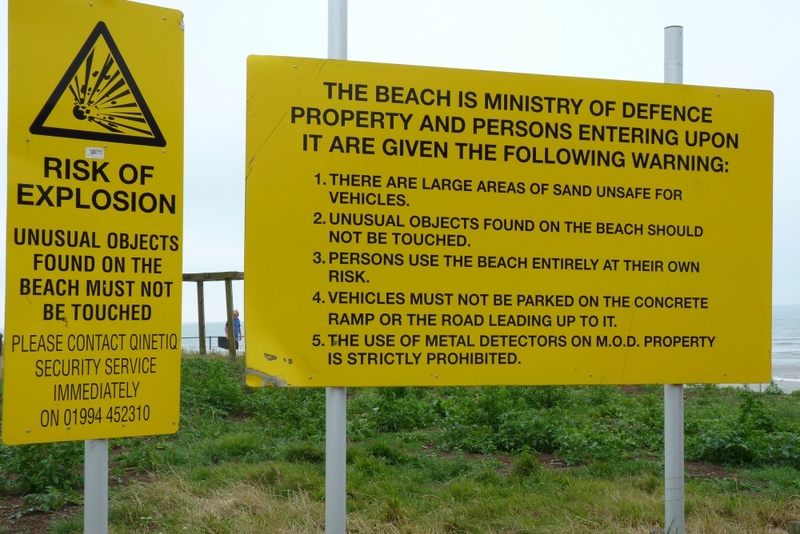 Those beach signs are spooky scary. 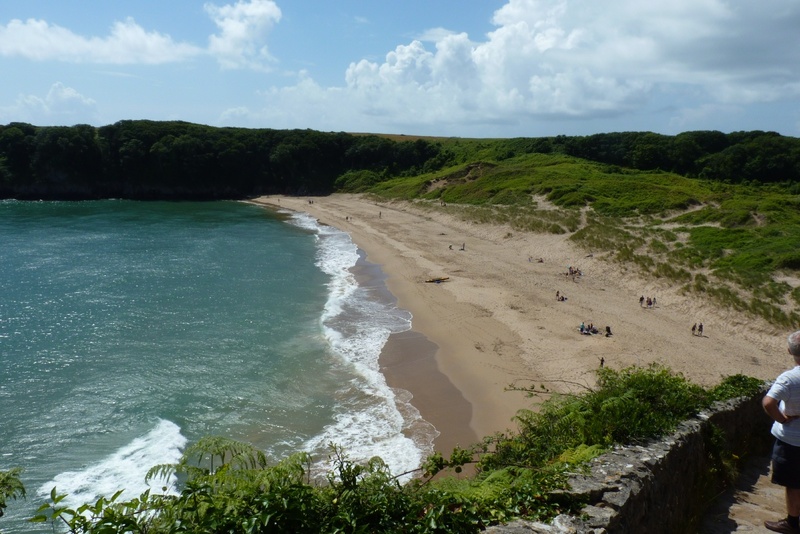 Of course, I'd still want to visit, because the beach looks so pristine. Happy WOYWW from #1. Fab holiday photos Ann but even better is the fact that you are back in the world of crafting. We have missed you, some more ways than others (think Vicky). Hope we get to see you on here each week and in the flesh soon. Nice to see you and your lovely dog too. You are very close to me in Lancashire. Hope your mojo stays around. Love the holiday home, even with the scary beach. Welcome back, glad you got some mojo, hope it stays. Holiday photos look gorgeous. I love Pembrokeshire (but of course, I'm biased!) it's like Cornwall without the crowds. Gorgeous, glad you had a good time there on your jollies! The cards are lovely, and the knives are indeed stylish - like art for the table! I was wondering where you had gone so glad you didn't give your stash away. the cards look great. love the flower stamp. Have you tried zentagles they are very relaxing to do and great for getting back to basics.